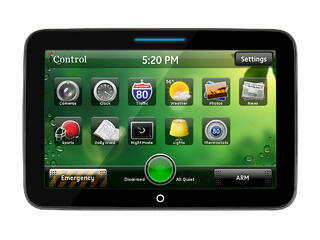 Manage your entire ADT Security System including home automation and video surveillance from this beautiful touchscreen. This touchscreen sits on a tabletop docking station or can be installed with a wall mount dock. Must have Pulse Level III monitoring service for touchscreen to work with cameras and home automation. Price includes integration with ADT Pulse Security system.